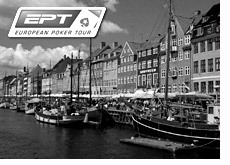 The EPT Copenhagen event, also known as the EPT Scandinavian Open, will begin on Tuesday, February 19th. The event is taking place at the Casino Copenhagen in Copenhagen, Denmark, and has an entry fee of 50,000 DKR (approximately 6700 euros). 2. Poker is booming in Europe, especially Scandinavia (Denmark, Sweden and Norway), and this event will likely be very popular with some of the local professional poker players. Last year, the total number of players was 400 and the buyin was approximately 5000 euros. Even with the increase in the buy-in and the number of players, this event still sold out. Last year's winner was Magnus Petersson, a 29-year-old financial advisor from Sweden. The second place finisher was Bertrand "ElkY" Grospellier, who later avenged this heart-breaking second place finish with a victory at the 2008 PCA. The prize pool will be a very respectable 3 million euros, which works out to about 4.41 million dollars USD. This is a record for this tournament, and it will be interesting to see whether they decide to either increase the buy-in next year or increase the number of entrants to the tournament. All of the EPT events have become very popular due to the involvement of Pokerstars. The tournament will run from February 19th up until February 23rd, and will include a number of notable Pokerstars sponsored pros, including Daniel Negreanu, Bertrand "ElkY" Grospellier and Dario "dariominieri" Minieri. The EPT events are always popular with the online "young guns" who are too young to play in many of the events in the United States, so expect some of the most recognizable online poker talent in the world to also play in this event. Everyone seems to have had a great time at the event. This should be a great poker tournament with an incredible pool of both online and "live" talent participating. Combine that with a 3 million euro prize pool and we will have a great event that will feature some dynamic poker playing.